As headlight and vehicle technology advances, so do the methods of securing bulbs into the headlights. In the past few years, we’ve seen a big push toward specific clip in systems that render the traditional LED conversion kits useless… Until now. 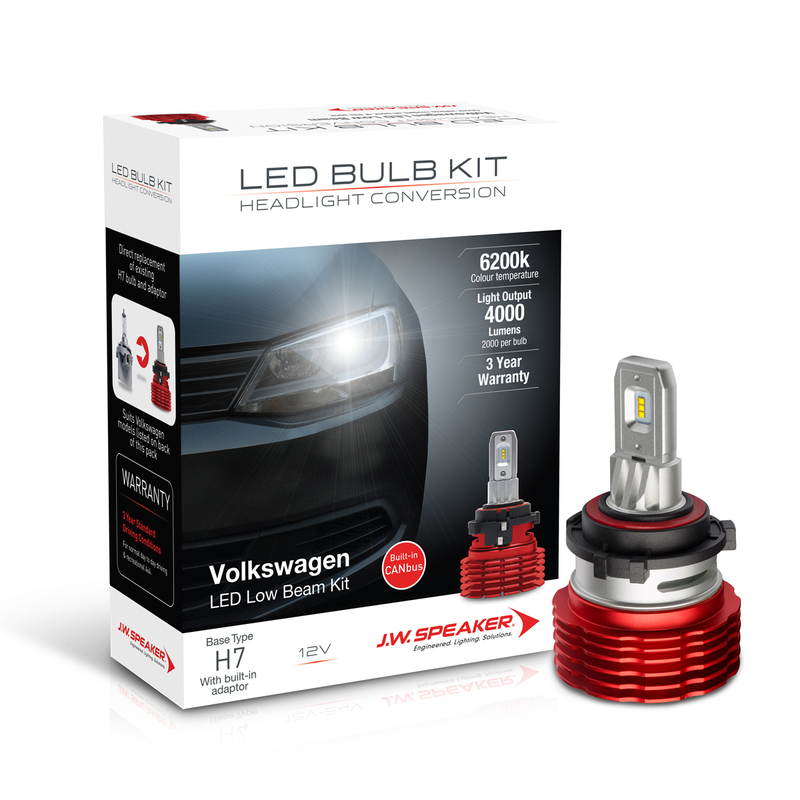 The first in the range of vehicle specific LED Bulb Kits is the H7 Volkswagen kit which replaces the H7 bulbs of a number of vehicles including EOS, Golf VI, Golf VII, Jetta VI, Tiguan 1 & Tiguan 2. This product replaces both the original H7 bulb and clip / adaptor.